A favorite of eccentric cycle enthusiasts everywhere, the unicycle provides a fun and interesting way to test your balance! The M-Wave Uno 20 in. 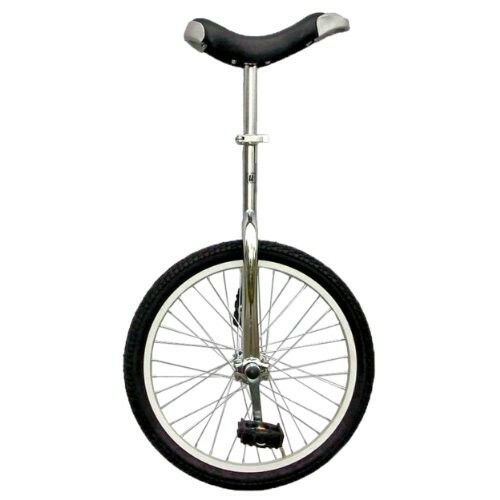 Unicycle features a durable frame with a 20 in. wheel. It includes an alloy ring with cartridge bearings, and the saddle height is adjustable for just the right fit. Impress your friends with the Uno 20 in. Unicycle!